Today I would like to share with you all my outfits I used for Fashion Week Panama 2017. On this ocasión I decided to use designs created by Colombian and Panamanian Designers. Among them you can find looks from Jey Castañeda Collection, Lidia Minota and accessories from Margarita Diaz, Divina Accessories, converse, Tatiana Luna and Divina Castidad. Fashion Week Panama, es un evento muy importante en la región y esta fue su novena edición. 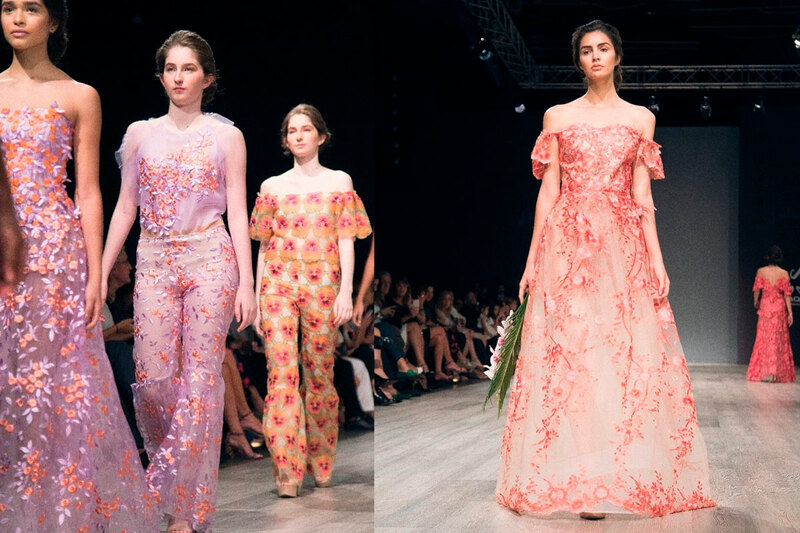 Es la tercera vez que tuvimos la oportunidad de conocer diferentes talentos de America Latina y sus colecciones Primavera/Verano 2018. Hoy os quiero compartir mis propuestas favoritas que pudimos disfrutar durante la feria. Today I want to share with you one of my looks fro Fashion Week Panama. This year I was honored to be invited for fitting and wear one of the pieces of Panamanian designer, Lidia Minota. 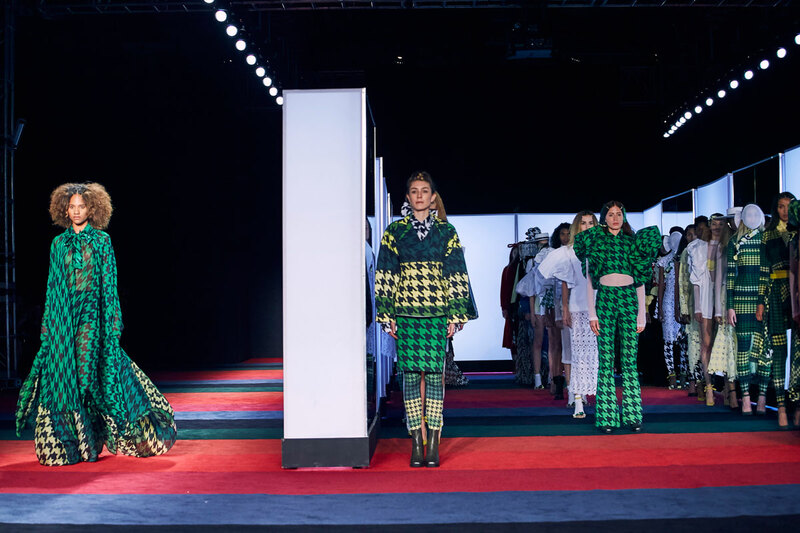 In this edition of Fashion Week Panama we could see many interesting design proposals, among them Lidia Minota's collection, whom I could meet in person and have the honor of wearing one of her pieces. Lidia is Colombian, but she started her career as a fashion designer in Panama when she moved here. On this occasion she presented her collection "Sunset" inspired by the Panamanian sunsets. Retro, band inspired printed tops are now everywhere, we could see them at catwalks or worn by celebs. It's not only really cool, but also easy to use trends and it works for everyone. Personally I use it lately a lot and thats why I decided to share with you my tips on how to wear it and my latest look with Tommy x Gigi top, that I wore for BCapital. Colombian designer, Carlos Polite was responsible for opening this edition of BCapital. And he did stunning by introducing us not only to his latest designs, but also fashion film "I am an Individual by Noir Tribe". 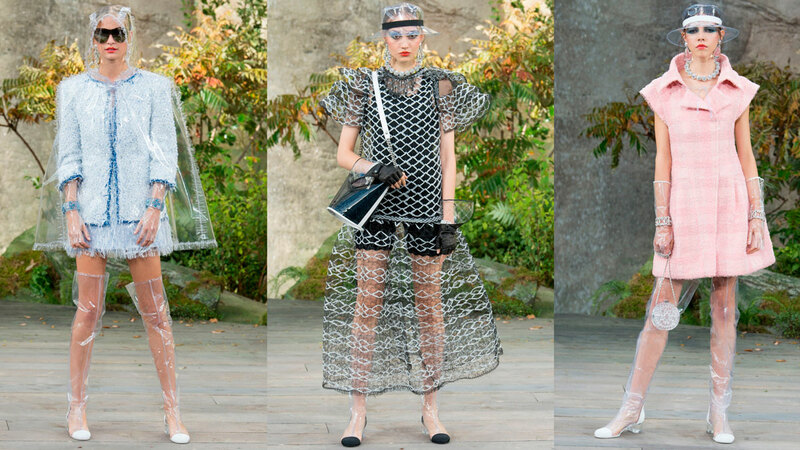 After impressive sceneries from previous Chanel fashion show, this one was more about going back to basics. It was all about healing power of nature and looking for optimism. Karl Lagerfeld took us this time to green scenery full of cliffs and waterfalls, creating this scenery took over 2 months. 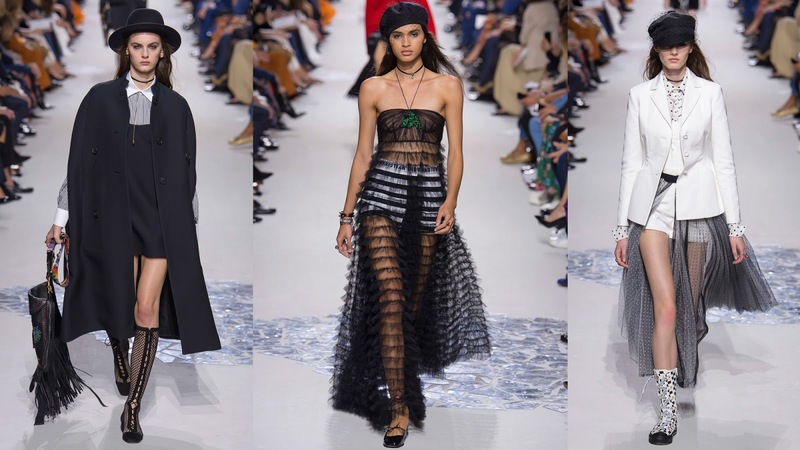 This Dior collection was all about getting to the Millennials. It was not anymore about a good girl look in a luxury dresses perfect for cocktail. This collection was about being chic and beautiful, but rebellious. It is about getting back to 80s. We could see mesh knee-boots, patchwork jeans, leather jumpsuits, sparkly glitter mini dresses with visible underwear. 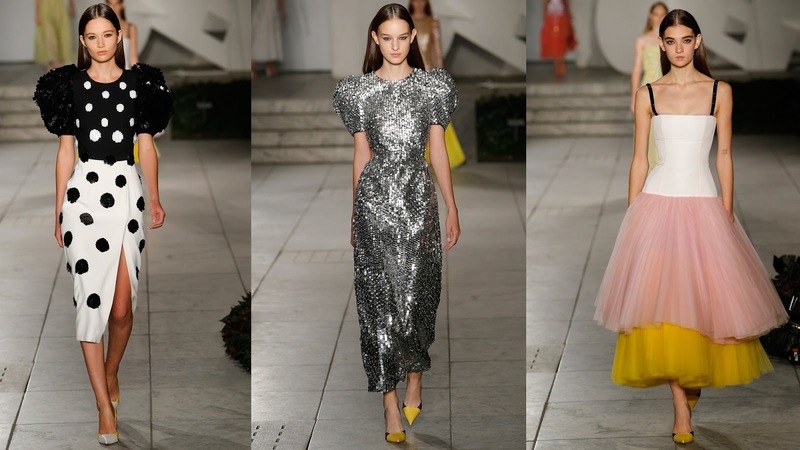 Carolina Herrera collection was a stunner, such a beautiful, optimistic and fresh proposal. It took a place in gardens of the Museum of Modern Art in NYC and I had the opportunity to see everything from backstage. 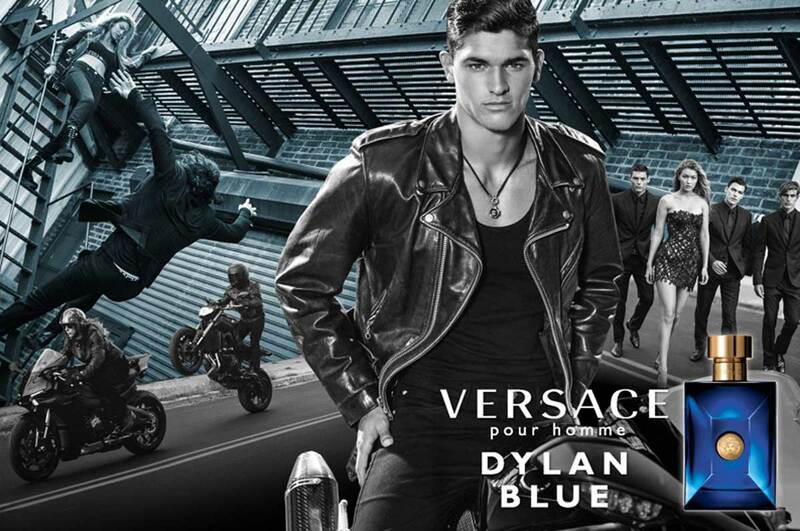 Lately I had the opportunity to try latest perfume from the Versace Pour Home collection, Dylan Blue. And I have to say it smells absolutely delicious. 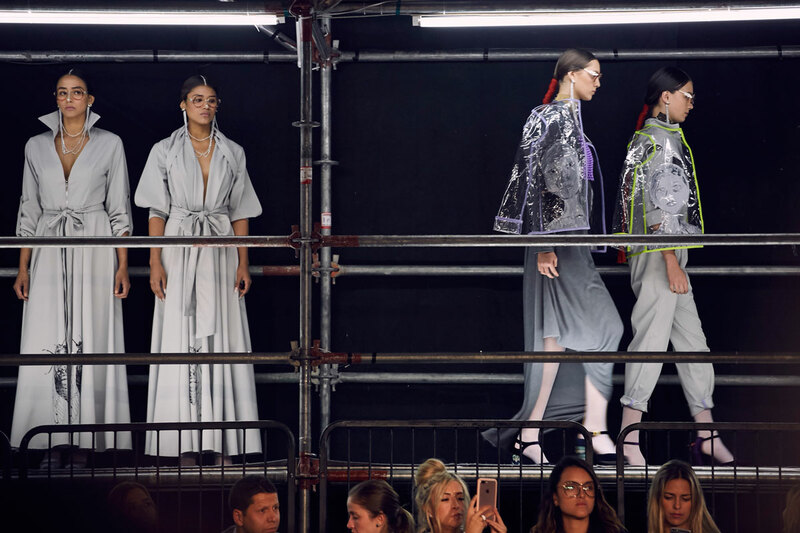 This time Tommy Hilfinger landed with his See Now Buy Now collection in London with Gigi Hadid as his muse. It was an incredible show, with a stage inspired by rock & roll and circus, there were acrobats, big stars and incredible digital projections. Os invitó mañana 3 de Octubre al life streaming del desfile de LOUIS VUITTON Primavera/Verano 2018. El desfile se llevará a cabo en el marco de la Semana de Moda de París. Hoy os querria compartir noticia sobre una alianza increible con uno de los diseñadores icono Karl Lagerfeld y la tienda Falabella. La colección entró a Colombia el jueves pasado y tuve la oportunidad de asistir a la venta previa y conocer más detalles.